If you’re in the market to snag a good lease deal on an upscale luxury car, the good news is that automakers like BMW, Mercedes, Infiniti, Cadillac, Buick, and Acura, to name a few, have some attractive ones available. Check out these best luxury car lease deals October 2012 – and keep in mind that they all expire October 31, 2012. 2013 Acura ILX – Acura is offering two attractive lease deals on its smallest and newest car this month. The 2013 Acura ILX is available to lease for $239 per month for 36 months with $1,999 due at signing. Or, lease the ILX for $300 per month on a 39-month lease with $0 due at signing and $0 first month’s payment. $3,864 due at signing. 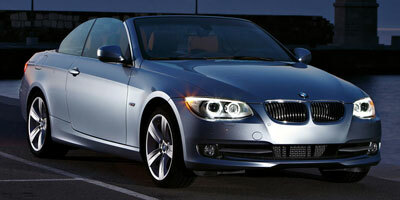 Or, go for the BMW 328i xDrive sedan for $419 per month on a 36-month lease and pay $3,894 upon signing. 2012 Buick LaCrosse – Lease the 2012 Buick LaCrosse with eAssist with convenience group for $259 per month for 24 months and pay $3,229 at signing. 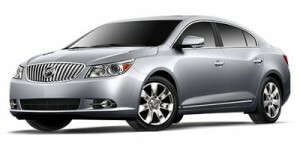 2012 Buick Regal – Lease the sporty 2012 Buick Regal with Premium 1 Equipment group and 2.0-liter four-cylinder engine for 24 months at $229 per month, with $3,079 due at signing. 2013 Cadillac ATS – Qualified lessees can get into an ultra-low mileage $329 per month, 24-month lease on the all-new 2013 Cadillac ATS compact luxury sedan. Just pay $3,549 at signing. The mileage limit is 20,000 miles, after which there is a $.25 cents per mile charge. 2013 Hyundai Equus – Get into the Hyundai Equus Signature, available with a special 48-month lease. Well-qualified lessees can take advantage of a $739 per month lease with $0 due at signing. 2013 Hyundai Genesis Coupe – Lease the 2013 Hyundai Genesis coupe 2.0T with manual transmission for $289 per month for 36 months with $2,699 due at signing. 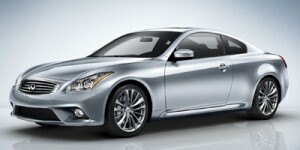 On the 2012 model, the lease is $259 per month for 36 months with $2,699 due at signing. 2013 Hyundai Genesis Sedan – Lease the 3.8-liter V6 2013 Hyundai Genesis sedan for $399 per month on a 48-month lease and pay $3,499 due at lease signing. (rear-wheel drive), and just $10 more per month for AWD — $359 for 24 months with $1,999 payable at signing. 2012 Land Rover Range Rover Evoque – Not really a car, but an exquisitely styled and thoroughly capable luxury crossover, the 2012 Range Rover Evoque is available to lease for $499 per month for 36 months with $2,995 upon signing. 2013 Mercedes-Benz C-Class – Consumers looking at the 2013 Mercedes-Benz C250 Sport Sedan can lease it for 30 months at $349 per month and pay $4,143 at signing. There’s also a 30-month, $369 per month lease deal on the 2013 C300 4MATIC Sport Sedan with $4,163 payable at signing. Lastly, get into a 2013 C250 Coupe for $379 per month on a 36-month lease with $3,773 due at signing. 2013 Mercedes-Benz E-Class – Several lease deals are available on the 2013 Mercedes-Benz E350 this month. There’s a $579 per month, 30-month lease with $4,549 due at signing on the 2013 E350 Sport sedan. The E350 4MATIC Luxury sedan and 4MATIC Sport sedan are both $599 per month, with $4,869 due at signing. The E350 Coupe is $629 per month with $4,174 due upon signing.